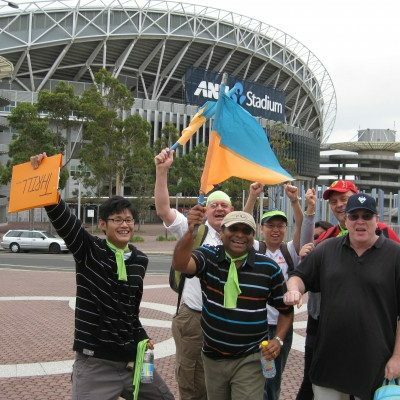 Get your team exploring on a Blue Mountains Amazing Race experience for group activities both social and corporate team building or adventures that are brilliant fun revealing the best of the Bluies. Amazing Races team custom build your tasks, challenges and activities throughout Katoomba, Blackheath, Leura and out to Echo Point or Scenic World. We even coordinate unique boutique conference spaces and accommodation venues. Ask us where the secret gems are. Your corporate can start directly from The Fairmont Resort Blue Mountains or Lilianfels, Carrington Hotel and Echoes. We supply a wonderful array of custom built amazing races, team building activities, corporate challenges. That culminates with Thrilling corporate evening entertainment, games and adventures. 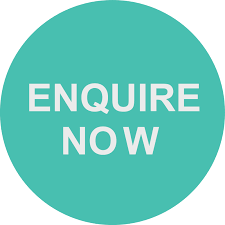 Book us to come to your accommodation venue or start your experience in your conference rooms. At Lilianfels Hotel a 5 star accommodation venue with excellent function facilities. We facilitate 5 star activities. That will leave teams and delegates breathless with excitement. Next door to Lilianfels we launch Amazing Races on the stunning balcony of Echoes Hotel, which is terrific for smaller groups. The Hydro personifies Blue Mountains Enchantment. Overlooking the amazing Megalong Valley. Within the township of Katoomba their are two unique properties where we ignite corporate events and conference activities for corporate groups. In the historic charming Carrington Hotel. Ideal for large groups of staff and at The Mountain Heritage Lodge steeped in rich local history and amazing views. Along The Great Western Highway we facilitate team building games in the Old Leura Dairy, brilliant fun Blue Mountains conferences. From the moment your employees start the program. The excitement is electric and engages all levels of staff. From The CEO to administration, managers and warehouse dispatch teams. We will have your business and company executives descend the spectacular valleys, enter majestic canyons or if adrenaline calls, venture over incredible cliffs. You decide on the content, we create the amazing. Teams navigate their way to a series of iconic Blue Mountains checkpoints like Echo Point and Scenic World. Once registering complete the fun Team Activities. Or have us custom design team building Tasks and Challenges. Our corporate events are exclusive and filled with fun tasks or adrenaline adventures that will thrill you. 5. 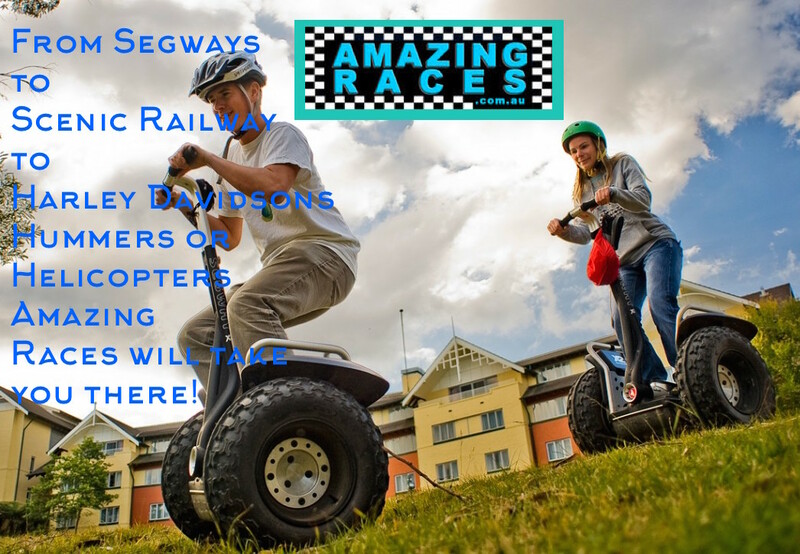 Wow Factor; with Ropes Courses, Zip Lines, Segways, White Water Rafting, Rockclimbing or Abseiling and more if you dare! Ideal for conferencing, team building activities, events, leadership and groups in the Blue Mountains. Teams receive their first GO-GO envelope, providing instructions to Checkpoints marked by Amazing Races flags and mats. Then navigate to locate registration checkpoints in iconic locations. To accomplish unique and fun activities. On Foot or by car. Amazing Races staff coordinate all transport options. Including Blue Mountains Buses, Taxis, Sports Cars, Harley Davidsons, Bikes, Trikes, Hummers or Golf Buggy Carts. Even providing a set of Cross Country Segways mobile to all conference centers including The Fairmont Resort and Lilianfels. Once teams arrive at their next Blue Mountains Amazing Race checkpoint location they receive an envelope detailing their next Challenge, Task, Detour or Roadblock. Build for charities like Building toys for kids at the Toy and Railway Museum. Counting specially marked Tea Pots at the marvelous Tea House in Leura. Scenic World rides on the Cable Cars or Scenic Railway. 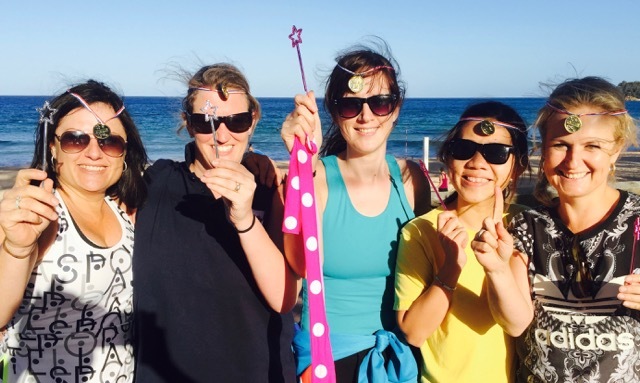 A balance of physical, cerebral and creative skills are drawn upon for your team to enjoy! Ensuring everybody gets to join in on the fun! Providing interaction between all teams rather than just seeing your colleagues at the end. Go head to head and compete. Once teams successfully complete their team building exercises, another GO-GO envelope is presented. Continue Racing until the PITSTOP is revealed. here scores, incidents, debriefing, presentation, prizes, speeches and rewards provided with panache! 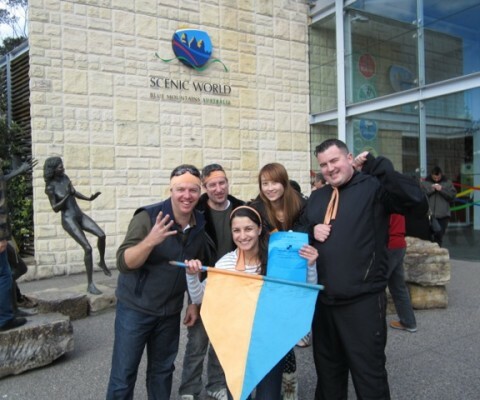 We are the Blue Mountains Activities specialist team with over 23 years experience in delivering adventures, games and corporate events. Direct from The Fairmont Resort, Lilianfels Resort and Spa, Hydro Majestic and Carrington Hotels. team development format – that makes the programs worthwhile to participate in. We look forward to conducting your businesses next fun team exercises, evening entertainment and rewarding Fairmont or Lilianfels activities in the Bluies to enjoy for all abilities. Other alternatives include Bubble Soccer, Segways, Mini Olympics Games, The Blue Mtns Festival Games. Master Chef or MKR Cordon Blue Mtns Cooking, Evening Games and Casino Nights. For more serious team development and leadership outcomes we coach teams and provide facilitated Team Construct programs. These are focused on improving collaboration, staff engagement, empowered leadership, increased motivation, teamwork and excellence in problem solving skills. The Blue Mountains is a super cool destination for amazing races. 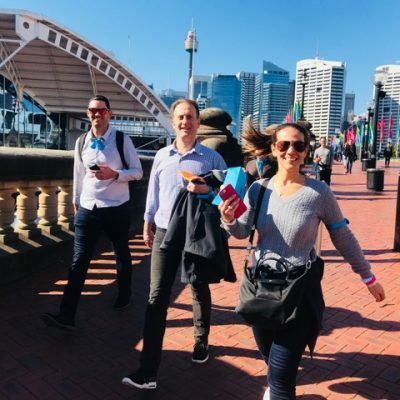 Start in Sydney at your corporate offices, home or at The Sydney Harbour Bridge. 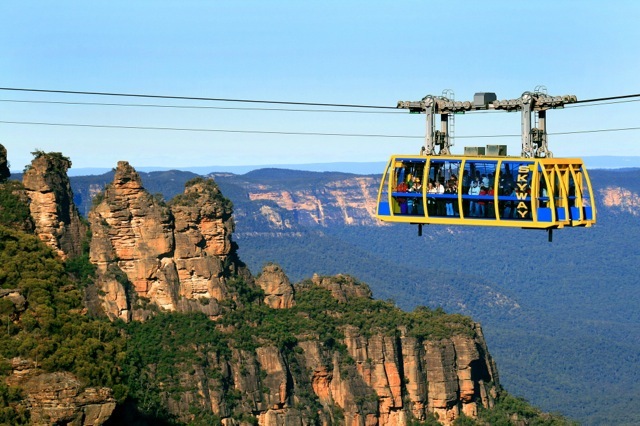 Navigate and find your teams way to iconic Blue Mountains locations like The Three Sisters, Echo Point, Scenic Railway and Skyway. Enjoy delicious chocolates, scones and treats where the altitude brings on the adventure activities. Plunge into canyons, abseil waterfalls, mountain bike the trails or take it easy with exploring the views. The Amazing Races crew custom builds your amazing race content starting at your conference venue or accommodation hotel. Show us who has the talent to win!